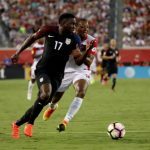 Trinidad and Tobago 2006 World Cup coaches Leo Beenhakker and Wim Rijsbergen have endorsed Dennis Lawrence, as the 42-year-old former international defender prepares to lead the Soca Warriors into the Russia 2018 World Cup qualifying campaign. 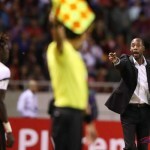 The Trinidad and Tobago Football Association (TTFA) announced Lawrence as the new head coach for the Men’s National Senior Team on Saturday morning. And Beenhakker and Rijsbergen, who were Lawrence’s former coaches a decade ago, believe the local football body made the right choice. 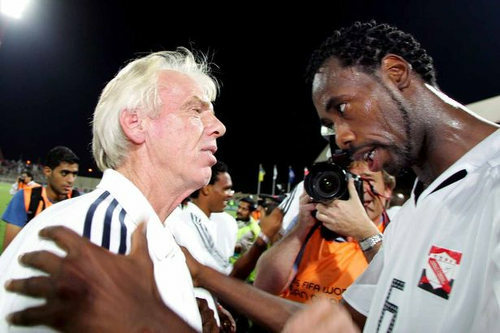 Photo: Former Trinidad and Tobago defender Dennis Lawrence (right) and coach Leo Beenhakker have a word in Manama on 17 November 2005. Lawrence scored the only goal as T&T edged Bahrain 1-0 that night to qualify for the 2006 World Cup. 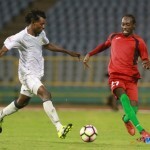 Rijsbergen was also full of praise for “Tallest”, whose headed goal in Manama led the Warriors to a 1-0 win over Bahrain in a 2006 FIFA playoff contest that sealed Trinidad and Tobago’s historic place at the Germany World Cup. “I thought that Dennis would be the best man for the job,” said Rijsbergen, who represented Holland at the 1974 and 1978 World Cups. “I have been following him the last couple of years working with Roberto Martinez. 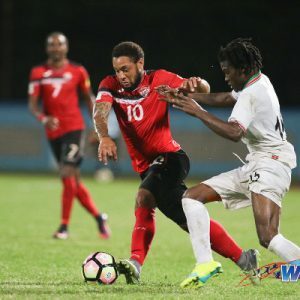 [And] I have been following Trinidad and Tobago since I left and I still feel positive about the time we had with a great bunch of players and staff to reach the World Cup 2006. 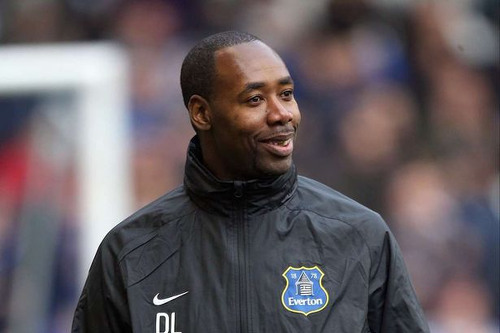 Photo: Former Everton FC coach Dennis Lawrence. 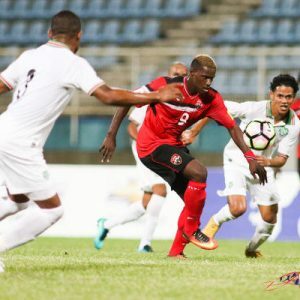 Trinidad and Tobago face Panama and Mexico next in 2018 World Cup qualifying contests on 24 and 28 March respectively at the Hasely Crawford Stadium in Port of Spain. Lawrence is expected in Trinidad on Wednesday, after which he will be unveiled to the media and go about finalising his backroom staff. He has a UEFA Pro License coach badge and was a member of Robert Martinez’s coaching staff at Wigan Athletic and Everton FC before his last job as a scout for the Belgium National Senior Team. And he was Martinez’s assistant when Wigan beat Manchester City to the FA Cup in 2013. 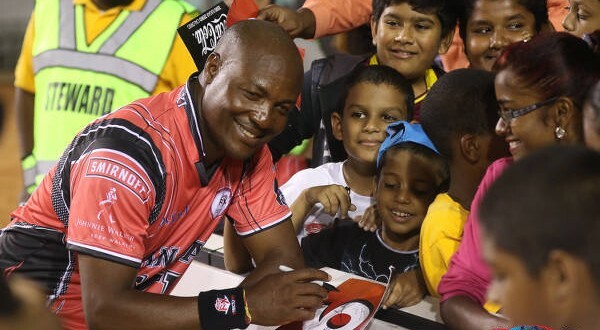 As a player, Lawrence made 87 full international caps for Trinidad and Tobago with four goals and one red card. He represented Caledonia AIA, Defence Force and San Juan Jabloteh in the local Pro League and Wrexham, Swansea City and Crewe Alexandra in the English lower leagues. 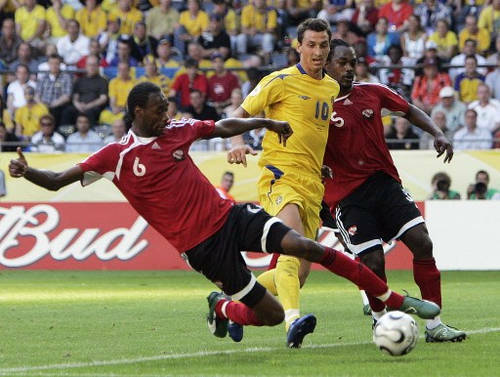 Photo: Trinidad and Tobago defender Dennis Lawrence (left) tackles Sweden forward Zlatan Ibrahimovic (centre) during the 2006 World Cup at the Dortmund stadium on 10 June 2016. 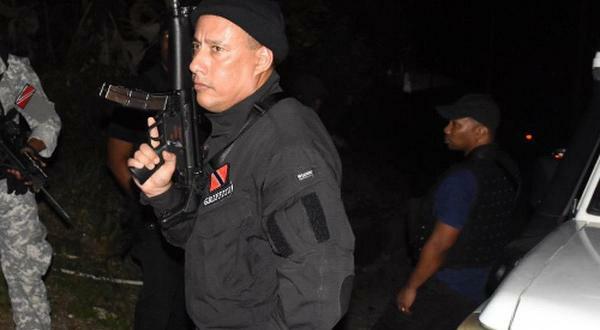 Looking on is Brent Sancho. 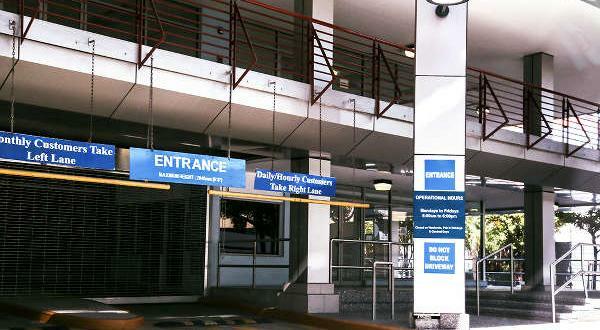 Next Discussion: Was the TTFA right to overrule technical committee and select Lawrence? The great Sir Alex said that David Moyes was the best man to take over… and we all know how that went…. but I really want DL and other local coaches to gain some experience with the National youth but not at the expense of this senior team future?? Lawrence is a good fit. Lacks international coaching experience but has the qualifications to do a decent job. Also, he will have good assistant coaches and reliable resources around the world to contact when/if needed. NO COMMENTS ??? WHE ALL D NAYSAYERS GONE? O I FORGET MASSA SPEAK,????? give him the time he needs dont expect miracles…. Not sure what that equals – they also recommended Hart! Good move… Just hope they let him do his job and pick the team that he knows will do the job an give nothing but 100%…. 100% for DL. Clearly no one here locally is capable…..at least DL has some experience outside of the local environment to draw from even though it is not international. Don’t say no one locally is capable, we don’t know what Terry Fenwick is capable of. 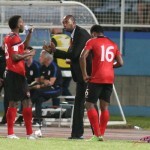 But in any case Dennis Laurence should be a better coach, having been in the World Cup and better coaching experience! Good luck to him, Go WARRIORS!!! If we had only the local coaches to choose from I would put Fenwick up there as a possibility. But his experience and certain lack of success in the lower tier leagues in England is not very complimentary. His time here has seen success but I can’t see that translating to international success if ones best performance is in our league. Welcome to the arena, Dennis. Y’all know who ah talkin bout. Most coaches support there past players but are they right ? Okay. So can we proceed now that Massa has given his approval? So many house slaves, oh so very many! 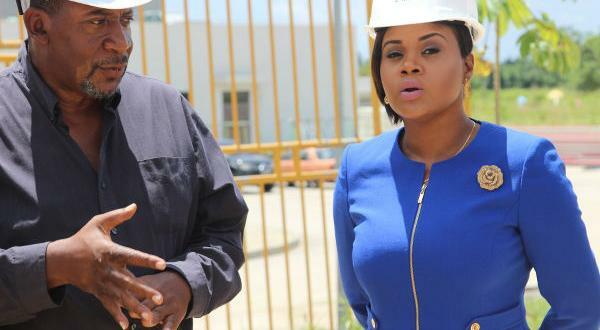 Lasana Liburd i would have like to hear his (leo ) views on Hart tenure,…..but plz remember i also endorse lawrence eh?? I doubt he would have anything negative to say about Hart. After all, Hart was highly recommended by Beenhakker for the T&T Head Coach position. And they worked together for a few matches in 2013. Nigel doh study Trini Don once the topic is Hart or Kenwyne. Lol.